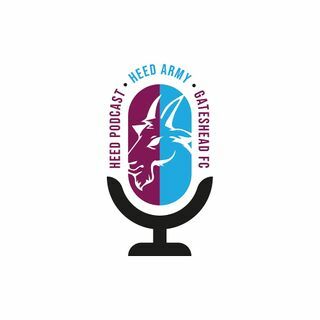 The Heed Army Podcast returns with the great news that Dr Ranjan Varghese has bought the club, he must have known the Heed Podcast was coming back and he wanted the show to go with a bang!!!! Perfect timing for us, but we will have the take over to add to the topics on tonight's show. Show Sponsored by Naked Print, plesae give them a follow on social media on all platforms. speaking of printing - will there be a podcast calendar this season? Can you put the signed the stuff on the heed army podcast page so I can bid on anything I'm after as I won't be able to attend. Motherwell manager said that Salford were spending more on SPL players than most Premier League clubs. Lewis Walton looked lively yesterday when he came on for a brief cameo, playing on the left. Might be worth another look. Sorry lads, just tuned in. Some promising performances yesterday which will only be helped with the return of Barrow and Kerr. I still worry about the lack of experience in centre mid. We won’t yet know how the young lads will react if they go a couple of goals down. Mellish is better than Maguire. Is Mike Williamson playing on Saturday? Seen Steve Watson’s mrs who works for north east chamber of commerce also working with Gateshead to network local companies. Be good to see a strong local business sponsor the club. First off thank you Richard and Julie for keeping this club alive. Couldn't ask for more. Second, what a class job Steve Watson has done on a nothing budget, imagine what he could do on even just an average one! Stabilize this season, progress in the next. Optomistic. Enjoyed Guiseley on Saturday, Steve has got some very good young players at the club..
We need to built the club! Not spend thousands on players, use any kind of money to build the football club.